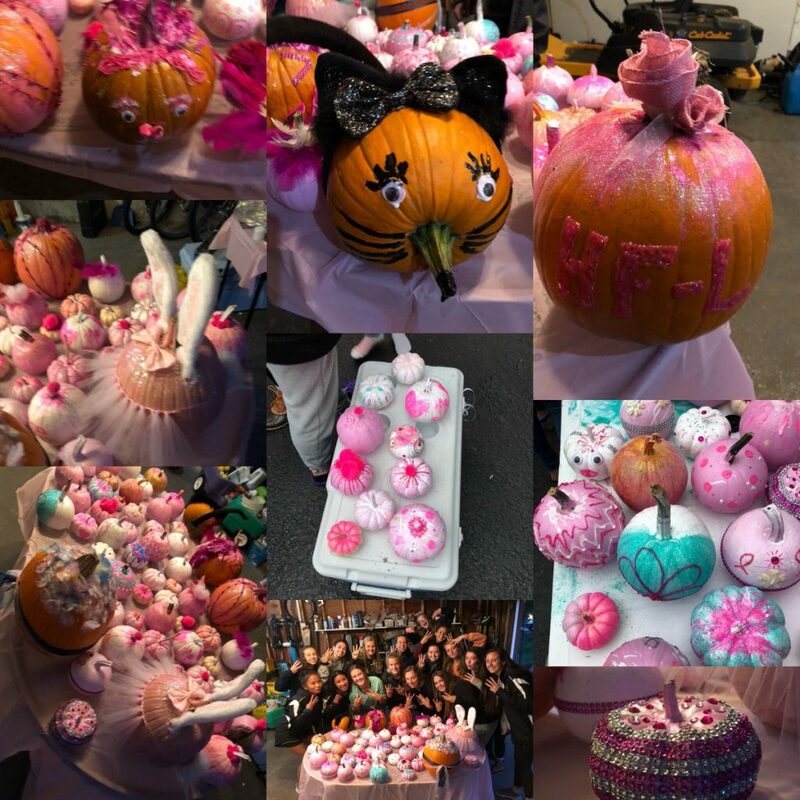 Our Girls Varsity Soccer team got together on Sunday and painted/decorated pink pumpkins. 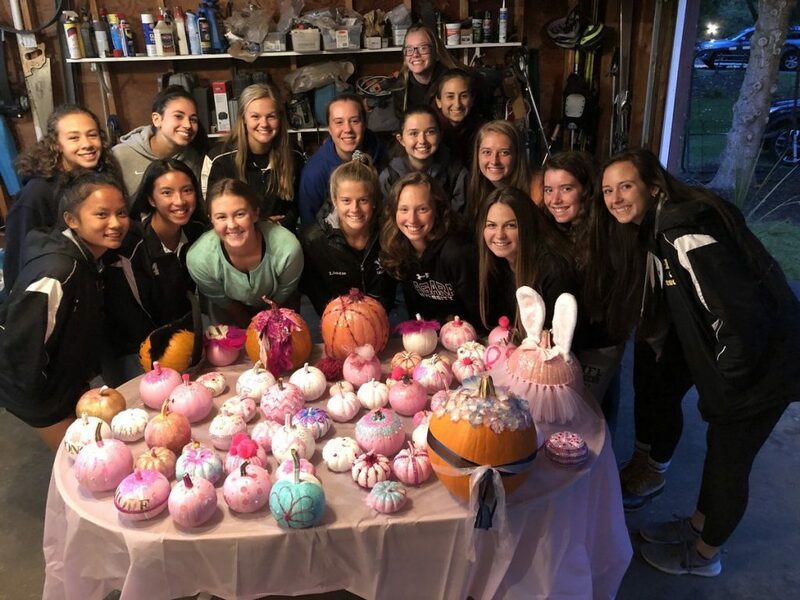 At our game Thursday, these pumpkins will be sold with the help of the JV Girls team with all money raised going to the American Cancer Society. 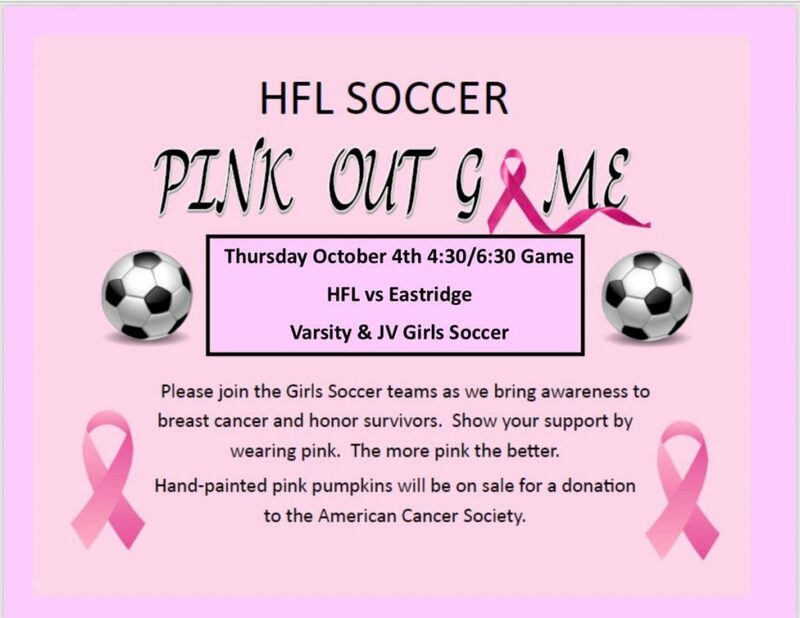 We have 22 in each team so 44 girls on JV and Varsity Soccer.